After the closure of Smiles Brewery in 2005, the Brewery took over the lease and launched Colston Yard two years later as a pub, bar and grill, offering the region’s most extensive range of beers. Customers have a choice of nine real ales as well as over 50 bottled ales, lagers and ciders on tap. 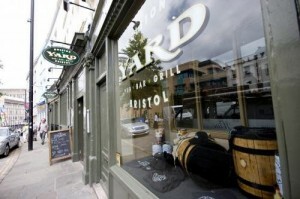 To celebrate its birthday, Colston Yard will be offering customers its legendary roasts for just £5.00 between 12 noon and 5pm. To help the celebrations further, from 12 until 10pm customers can enjoy two pints of any Butcombe Beer or Ashton Press Cider for a special price of just £5.00. Butcombe likes to keep things local, so the Yard’s delicious food is locally sourced and freshly cooked in the kitchen. All of its meat comes from Havercrofts in Weston-super-Mare, and nearby company Arthur David supplies its fruit and vegetables. Cornwall based Wing Fish delivers the Yard’s fish in the evening caught that day – and all this goodness served up at affordable prices.